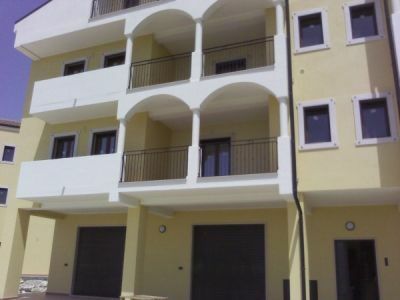 For sale: Apartment New Building in Via Norman (area Galluccio). After building already available / Habitable. Appartamento 120 sqm 1st floor Bedroom + 2 + Living Kitchen's bedrooms + 2 Bathrooms (3 basins) + Large living room with corner studio. Veranda Veranda north south 20 sqm + 10 sqm with entrance to the north side of Garden 30 sqm. Box ground floor with 50 sqm Entrance Garden side of 100 square meters. Regalo Attic 40 sqm. Sea View Road without traffico. Possibilità to rent 390 € monthly only referenced.